A Golden Rule with many facets..."do not hurt yourself"
Click here: "Hand follows the foot..."
The Youtube Video along with a transcript under the video (the small square icon looks like stacked paper), the photo above, and the following is excerpted from Master Stephen Hwa's comments in a 2011 workshop. The subject had to do with internal discipline but also delves deeply into body structure and the benefits of practicing. You will have to link from here to the Youtube video on the subject and can either follow along with what is written here or from the "Description" at the Youtube video itself. One of the things that occurred to me as I was editing the video for publication was a new perspective on something I had read in "Uncovering the Treasure". A golden rule that Master Young gave to Master Hwa was that the knee does not extend over the toe. It occurred to me that the knee can (incorrectly and harmfully) extend over the toe in more than just the forward direction, it can extend over from a "torque" that Master Hwa speaks of in the video and here. In other words, it can extend over the side of the toes as well as the front, can it not? All of that resulting from a thoughtless rotational action on what should really be a simple understandable concept for a healthy stable knee joint. "If you stick to this Classical Tai Chi program there will be a big improvement to the back. This is an important component about the back. The back will respond to stretching if you give consistent opportunity to stretch and the lower back will improve. If you tuck your chin in correctly, you will also stretch your cervical spine as well. So the parts of this stretch are equally important. This may very well work to correct cervical spine problems or such things as a “knot” in the back of the neck. So as relating to body posture, that is one of the central themes. In this regard you will be able to have the energy transfer from the neck down to the heel. The energy can flow this circuit without outflowing to the middle of the body, like the lower spine for example. This will transmit all the force to the ground in one uninterrupted flow, it will not be transmitted to just the lower back where it can cause problems. The other important body posture is referred to in Tai Chi as “Hand follows the foot, elbow follows the knee and shoulder follows the hip”. In other words we do not turn by only using half of the upper body and neglecting to turn the lower. The turning power has to come from the waist and the entire muscles of the back. There is a vast majority of Tai Chi schools that do not follow this rule. There is a question which has been raised in the past about this rule. Where do we apply this rule? Because we also have turning moves as well. This is relatively easy to see in the form but when you are doing applications with other people, or as in “free form”, when is the rule applied? I searched the entire form and found there is consistency and explanation actually. It is easy to explain and there are many different levels of explanation for this: Any movement that you where you are going to cause a torque (a twisting force that tends to cause rotation) (the danger of which comes from “shear force” a stress which is applied parallel or tangential to a face of something as in this case a knee or ankle) in the knee or ankle, then you use the rule. In other words, any time you have the potential for a twisting force that tends to cause rotation, key words twisting force which causes rotation to a knee or ankle. This is surprisingly such a simple concept but people are not following it. One of the best examples of this I can use is a golf swing. Do you see the torque in my knee and ankle? This why golfers have ankle problems, lots of people have knee problems. I am not a golfer so I cannot say but certainly if you “hand follow…” the foot out you will not have that problem. Whether you can do that as a golfer or not, I do not know. However, if you look at our form and in every case, every instance, it is always following the rule to the letter. Now if you examine the “half body” turning movement, there is no torque down at the knees or ankles. So this type of turn is allowed because you see I do not have to turn my foot with it. Now this is certainly for health viewpoint. For martial art viewpoint, it is this way and you have much more power. More power than the leg lagging behind, in which you are fighting yourself. The torque force pulls your body backward while you are attempting to turn forward. On another level, remember at one time we came back to considerable argument regarding “turning at the waist vs. turning at the hip”. People have said that “turning at the hip has more power than turning at the waist”. Well, you see, again that turning at the hip is torqueing your knee and ankle. WELL, YOU MAY SAY YOU ARE GETTING YOUR OPPONENT ON THE GROUND BUT EVENTUALLY YOU WILL HURT YOURSELF, YOU ARE ALREADY HURTING YOURSELF. After all, when you learn martial arts, the first principle is that you do not want to hurt yourself. Otherwise, your opponent can wait just a few years for the damage to set in (laughter). Somehow not hurting yourself and delivering the power really coincide with each other. If you don’t hurt yourself, you can deliver more power. Now there are people, who argued with someone here in the past, now they are very strict…STUDENTS HAVE GOT TO TURN THEIR HIP. If you are a young person, you can get away with all kinds of movements for awhile. You see this in golfers when they are young but when they get older they are really hurting themselves. Sooner or later this will take its toll." For both beginning and advanced students the task is to place and keep attention, attention, attention in the core of the body. I repeat the word several times as indicative of the mental discipline necessary to do the job. Whether newbie or oldie a student will still face the same task. Nevertheless I have seen many give up and likely because of frustration with the process. It is very daunting to keep attention on the body and it is as though attention itself has a mind of its own...not to be pinned to any one thing. This "attention" however is not of the "go for the burn", the mind on cruise control variety. Here is a small bit of what Master Stephen Hwa has to say on the subject: "For the beginner, the difficulty lies in the mental discipline in which all attention has to be concentrated on the core region." A student states that they are experiencing soreness in the abdominal area from practicing. This from what I am able to gather is from doing the silk reeling exercises. The best advice I can give is not to go after repetitions as though it is a contest to see how many one can do. The object is to simply feel the stretch and energy flow, key words, "simply feel", not to engage in trying to strengthen the core like a sit up or crunch. The difference in the latter is one of building muscle for muscle sake, in the former it is to tune the nervous system so that it can move the extremeties from the core. What happens when you do too many repetitions; an overload of a silk reeling for instance, is that you get a sore abdomen and a sore back. Since muscles do not exist in a vacuum and operate under the laws of science you can also overload your nervous system. This is called spiking the nervous system., we are getting high spikes and then dropping back to lows. We are getting a sharp rise and an equally sharp decline of the nerve signals. It seems to be a logical question then as to what the setpoint might be with such continuous high and lows. 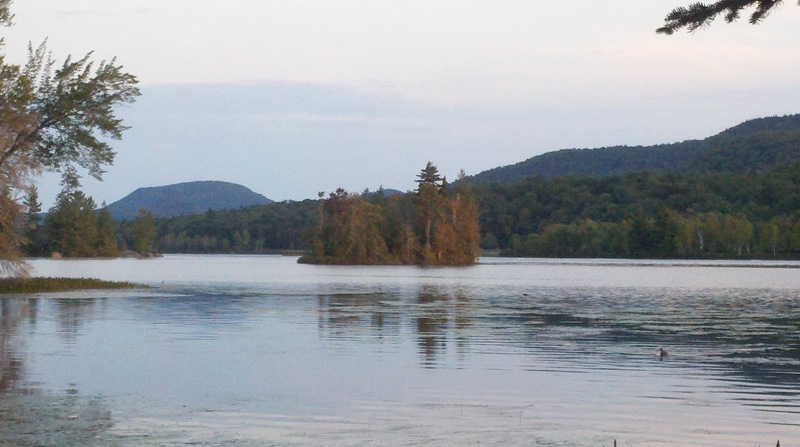 Is the setpoint geared for continuous relaxation or is it geared for continuing stress? Additionally, as we said, in Classical Tai Chi we look to maintain attention on the core . 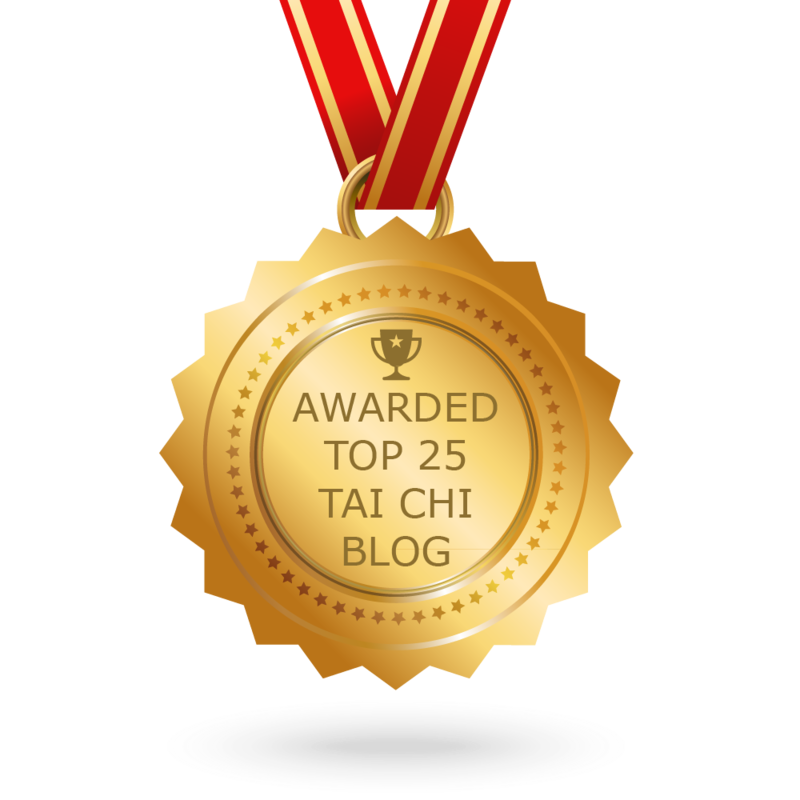 If we lose our attention whether by inattention or stress to the nervous system the task of completing the Tai Chi form brings us to attention once again. Ideally, it as though it is wired into the subconscious to facilitate this process. When we practice Classical Tai Chi, we "tune up" the nervous system. The highs and the low signals are smoothed out so that the signals remain even and evenly flowing. After all, the movements themselves are even and evenly flowing, very rhythmical. The mind begins to relax more and more during form practice or silk reeling since the task of remembering what to do is taken over by the subconscious mind. So, ease back on the number of repetitions and instead learn to enjoy the sensations of stretch, warmth, tingling at the areas that move during silk reeling. This is developing a feel for what we are doing but we are also engaging the nervous system, just as though we would engage any muscles. Over my years of doing Tai Chi I would have to say that my nervous system has responded the best to the practice. My muscles, my metabolism have indeed responded but the nervous system seems to have learned and strengthened the most readily. As I stated before, the Classical Tai Chi is not a go for the "burn" as fast as you can system. As a matter of fact it is just the opposite for the nervous system thrives when training is done at a low level of intensity. Look at what happens with the Square Form for instance with its deliberate pauses between movements. I know this is quite a contrast with our almost built-in desire for power and more power by sweating, exerting and straining. The nervous system also thrives on variety and not overload. Since we offer a variety of silk reeling exercises, the curriculum is ideal for providing such variety. In other words, there is plenty for you to use to tune up, say doing 20 repetitions of 5 different silk reelings as opposed to 100 of any one. Advanced students can learn to use the individual postures of the form as silk reeling, thus increasing the variety once again. You can read more about the tuning up of the nervous system in "Uncovering the Treasure" by Stephen Hwa, Amazon. Enjoy your "tune up". “The true health benefits and the foundation for martial arts application of Tai Chi can only be achieved when the practitioner incorporates “Internal Discipline”…using internal movement/internal power to direct and empower external movements into Tai Chi” . The difficulty with doing this is that there is so many things that can go wrong in the process of sensing where the movements are originating from. “For the beginner, the difficulty lies in the mental discipline in which all attention has to be concentrated on the core of the body”. (In the debate about use of hips vs. waist), If the beginner thinks even one little bit about the hip for instance, then a turning move, etc. will partially be initiated from the hip. In Classical Tai Chi we have to become not only aware of the sensory signals of our body but also to focus and catalogue them. As I am falling asleep at night I can often both feel and hear my heartbeat, I feel when my posture has excess muscular tension. I can, much like the weightlifters flex certain muscles which I feel (without using weights). Finally and most appropriate to Classical Tai Chi I can not only feel but also acutely control the movements of my body core. The problem for beginners in Classical Tai Chi is that all of these tactile “feelings” must focus on relatively miniscule nerve signals of sensation. Those small nerve signals are overwhelmed by the background “noise” of the other body sensations. This is why, for example, when I was learning to shoot the M14 rifle in the Marines I learned instinctively to hold my breath and “squeeezzze” the trigger. It actually is a delicate and complex task to fire a rifle accurately (my breathing with its innate sounds and tactile sensations in the body can interfere with the coordination of firing). The same goes “in spades”, for the multi-faceted and complex movements of Classical Tai Chi. So we want to cut down on the background signal “noise” and in the case of Classical Tai Chi this means several things not the least of which is reducing the amount of extraneous or “external” movement from the body. Specifically, I mean the extraneous movement from the limbs. Our nervous system (my teacher says a “well tuned nervous system is prized in China”) is hard wired to take things like tactile stimulation in terms of its ratio to other senses, it does not do this in absolutes. There is even a “law” governing this that was coined by E.H. Weber in 1834 that essentially states our “ratio” of signal to noise is constant however. Speaking of “signal” to “noise”: Looking at the videos attached to some of the other blogs, we see Master Hwa speaking in what is quite a noisy environment. He had to speak up to be heard over the ambient room noise, the sounds of the students, etc. So it is not a simple matter of my increasing the volume on the video when before I render it, for to do that would also increase the room noise. If we were in a really quiet environment he would only have had to whisper. I’m not sure if the law always holds true but as a rule of thumb it does seem to work. Why is this a “ratio”? In Tai Chi there is a saying that “a feather cannot be added; nor can a fly land without setting the practitioner in motion”. Well, if a fly lands on your “push hand” instead of my one pound of force, then I add a feather (we will all need good luck with getting the fly to stand still long enough) you will notice the difference in weight right away. Our perception of any sensation uses the same ratio principle, particularly when we focus on it. The “signals” that a beginner senses from their movement of the core are much too small of a “ratio” to make it through the many external distractions of their environment, their extraneous movement of their bodies, the many extraneous thoughts of the mind, etc. A student of Master Hwa’s had achieved some internal movement but complained about cold fingers. Watching her form he noticed that she had “flourishes” type movements, the extra movements were unnecessary. These are “extraneous movements’ or nerve signals along the path of qi. Other examples are extraneous shoulder, arm, elbow, finger, etc. types. These disrupt the flow of qi (nerve signal) between body and fingers, body and feet, etc. Thus, here for instance, are only a couple examples of why we do not want to add in things like extra “breathing techniques” (breathing qigongs) a “top down discipline” to the “bottom up” discipline of Tai Chi; why we do not want to do Tai Chi to music, adding weights to the hands, why we want to stand still while our teacher is explaining how to do something in Classical Tai Chi (our time will come to do it with them), why we want to stand still while our teacher is demonstrating how to do something for that matter (our time will come to do it with them), why we don’t want to “push” or “turn” our opponent with a lot of force if we are trying to keep focused on their movement. As you can see from the picture above, Master Hwa has allowed the practitioner to generate lots of momentum in a straight ahead direction, (he did not resist or push back with lots of force when the opponent attacked) then when he was stretched out, Master Hwa used a “feather” to attack from the angle. The opponent was generating so much “noise”, he could not hear any other “signals”, namely the “feather” of 4 oz. that Master Hwa used from the side angle. As a teacher I experience this "signal to noise" paradigm from students who just start to learn both the form and push hands. Even more experienced push hands players have to be reminded of this, please take this to heart. In the Tao of Martial Applications video of Master Hwa and a student pushing hands, he speaks of the “cooperative” as well as “competitive” push hands. In either case one has to (along with other requirements) use fluidity of movement, sensitivity to the opponents movements, stick to the opponent, follow rather than resist the opponents force and finally use four oz. to deflect a thousand pounds of incoming force. If Master Hwa is pushing back with a thousand pounds on what “ratio” will he have to rely? “Ratio”…what ratio? "When you seek it you cannot find it..."
Why is it that when new students seek to learn Tai Chi, they cannot (find) get it? Please have a cup of tea, take a seat, drink all of your tea…then I will tell you at least one big reason by way of a “Zen Koan” or in Chinese it is “Chan Gong’an”…a very sophisticated riddle or saying. In other words, the teacher is not looking for a specific answer, the teacher is looking for evidence that the student has grasped the state of mind expressed by the “Gong’an” itself. The author Joe Hyams was a syndicated columnist who also studied martial arts. Probably his most famous teacher was the martial artist Bruce Lee. A little known tidbit about Bruce Lee is that he is reputed to have studied the Wu Style of Tai Chi early on. Here is an excerpt from Hyam's book "Zen in the Martial Arts". 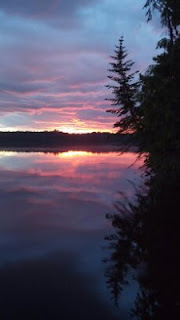 “Do you realize you will have to unlearn all you have learned and start over again?” he asked. “No,” I said. Bruce Lee smiled and placed his hand lightly on my shoulder. “Let me tell you a story my sifu told me,” he said. “It is about the Japanese Zen master who received a university professor who came to inquire about Zen. “It was obvious to the master from the start of the conversation that the professor was not so much interested in learning about Zen as he was in impressing the master with his own opinions and knowledge. Here is the "Gong'an" in entirety: "Nan-in, a Japanese master during the Meiji era (1868-1912), received a university professor who came to inquire about Zen.Nan-in served tea. He poured his visitor's cup full, and then kept on pouring. Mr. Hyams gave the mere “answer” to the “Gong’an” but where is the evidence that he “emptied his mind of past knowledge and old habits so that he would be open to new learning that his teacher had for him? How can Hyams provide the evidence and not merely provide lip service? Here is “evidence” that Grandmaster Young Wabu (teacher of Stephen Hwa who is teacher of James Roach) “emptied his mind of past knowledge and old habits so that he would be open to new learning that his teacher had for him. This is a small font, so the rest of this can be seen at Master Stephen Hwa’s website in the "Biography of Grand Master Young Wabu"
“In 1937, with the outbreak of war with Japan, the legendary Tai Chi Master Wu Chien Chuan left Shanghai, seeking the safety of Hong Kong. 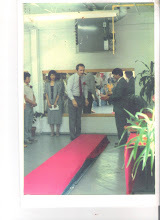 Young was then in charge of the martial art section of the South China Athletic Association and organizing a martial art exhibit. Hearing about Wu’s arrival, Young invited Wu to participate in the exhibit. The two men immediately found much in common. Young tested his martial art skills with Wu and found that he was completely dominated by Wu and unable to maintain his balance, no matter which kind of external martial art he used. At that point, Young gave up all he had learned before and became Wu’s student. He started from the very beginning. Young remembers the difficulty in trying to forget the deeply ingrained external martial arts he had learned and switch to the very different internal martial art. He dedicated four years of fulltime study with Wu before Wu returned to Shanghai in 1941. For a period, Wu stayed with him at his residence with the teaching and learning sessions going on day and night, everyday. 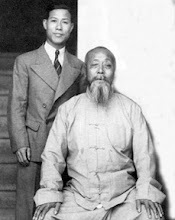 The photograph of him and Wu was taken at his home in July 1938. Hyams, Joe (2010-04-23). Zen in the Martial Arts (p. 10). Random House, Inc.